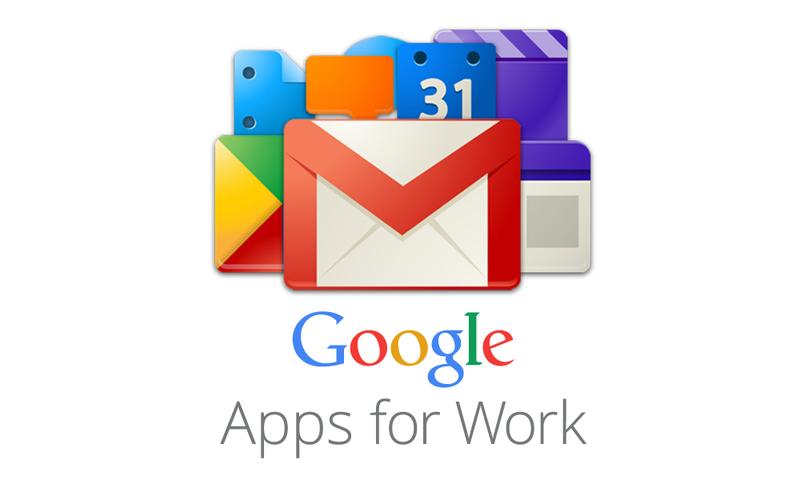 Do you currently use Google Apps for Work, and not sure if you are getting the most out of it? 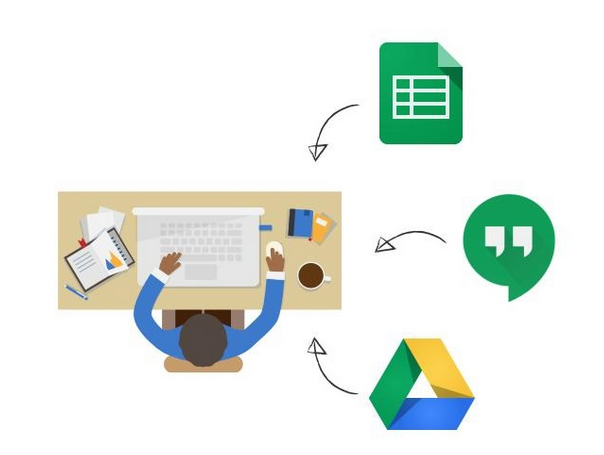 Enjoy our 6 step guide on how you can use Google Apps for Work to increase efficiency and make collaboration easy! No longer are the days of emailing everyone if they are available, waiting for everyone to reply, having people unable to attend, and needing to bring several devices to access files. The humdrum is over — it’s all done on one device, and easier than ever. 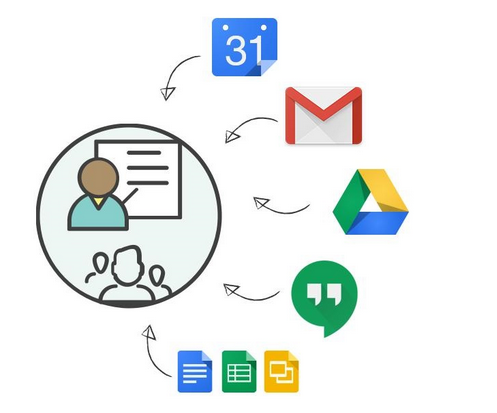 With Google Apps’ Calendar, you can easily check your coworkers’ availabilities, as well as availabilities for meeting rooms and other shared resources: all on one screen, and at the same time. Notify coworkers through a single email to a group in Gmail, and make sure that they’re ready for the meeting. Now that you’re all together, access all the relevant files that you need in Drive. If you don’t have a projector or large screen, no need to fret, they all can access the files on their own devices, whether it’s a document on Docs, presentation on Slides, or spreadsheet on Sheets. Even if you’re not all together, Hangouts can connect you from other sides of the planet; have meetings from different offices, or include absentees in the meeting room. 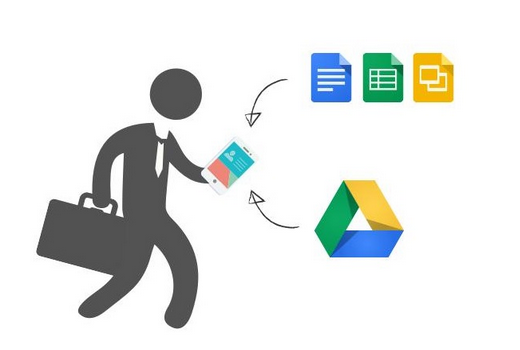 If you’re ever-moving throughout the day and you’ve got no time to sit at the computer, Google Apps for Work allows you to work from anywhere, at anytime, on any device — even without an internet connection. On the train or bus? On your lunch break? Away from the office? Essentially, if you’re away from a computer, your mobile devices will help you out. Draft a document in the office, review it on a mobile, and finalise it from a tablet — all in Docs. Most of the apps have powerful mobile apps that allow you to access your files on-the-go, and will automatically update to the Drive (for whatever your desired internet connection is — Mobile Data or WiFi). 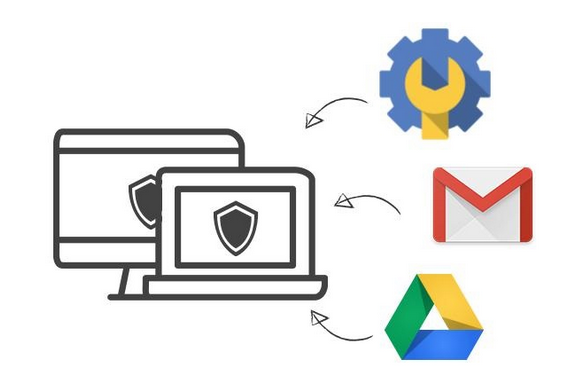 Be in control of your business’s online functions with Google Apps’ Admin. Easily manage the accessibility and security of your team’s apps, whether on desktop or on mobile devices; allow and restrict what you want them to be able to do and access. You can also use this mobile management to locate lost phones and lock or wipe devices remotely, to ensure that your business’s information does not fall into the wrong hands. Maintain your colleagues’ email addresses as well as configure their accessibility and restrictions to Gmail settings. Also, customise security settings for the Drive so that you can rest assured that your business’s data stays safe. Need to prepare financial, statistical, future-planning, or project-tracking spreadsheets with other coworkers, but you’re always sending them updated files of the same thing over and over? Avoid this nonsense with Google Apps’ Sheets, where you can collaborate on the spreadsheets with your coworkers in real-time, whilst communicating through Hangouts. It’s automatically updated to the Drive, and is accessible at any time and from any device. Presentations are an important function of a business’s daily activities, whether you’re giving an update on a project, or designing a speech for the business. 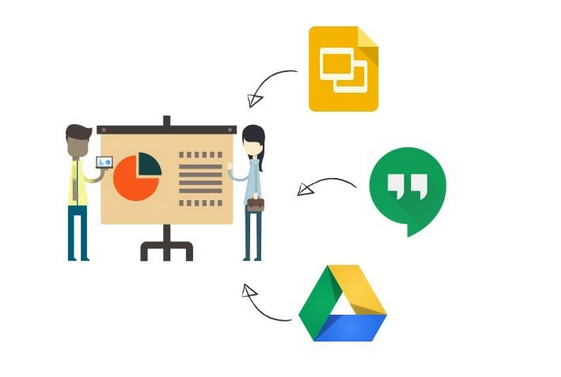 With GApps’ Slides, you’ll be able to simply collaborate with coworkers in real-time to design effective presentations, whilst communicating with them through Hangouts. Again, it’s all automatically updated to the Drive, where it’s accessible whenever, to whoever and from wherever you want. There’s no need to go to a website builder when Google offers it to you within Google Apps for Work. Easily build a website for your business with a simple, intuitive editor in Sites — there’s also no need for anyone with extensive IT knowledge. Create a project site for your team, or a portal for customers — all without writing a single line of code. 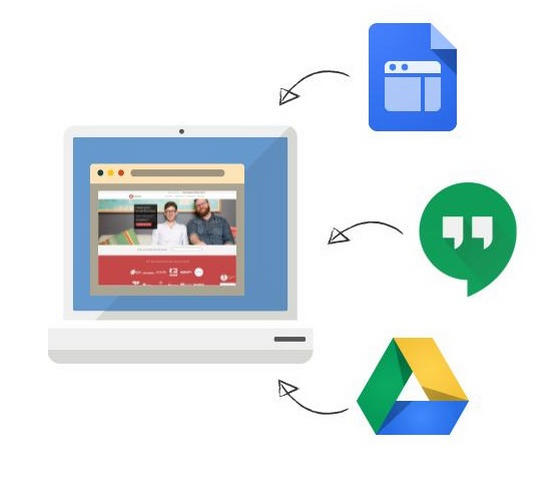 Build them together with your coworkers if you need, by communicating in Hangouts, and as always, everything is automatically updated and stored in the Drive. 7) It’s available to you very soon! A sneaky seventh way that Google Apps for Work can benefit your business is that Crucial has launched its very own Managed Google Apps product! You can purchase it as a self-standing product, or as an add-on in the checkout when purchasing from our fleet of web hosting services. Find out more about this exciting product, new to the Australian hosting market by clicking below. Change the way you do business, with Crucial.